The story is about a couple, but the girlfriend shown in the video is curious to check her boyfriend’s phone while he’s sleeping (or pretending to sleep) by putting his finger against the fingerprint scanner. And…oh wait. I shouldn’t tell you the story. Or else you won’t get a good laugh. Just watch the video see what happens next! Elephone P9000- Can I use my toe to unlock it? Now, that may look creepy to many of you despite being funny but the fact is that Elephone P9000 is one of the phones from the brand which is selling like hot cakes. The phone has a 5.5-inch fullHD display and is powered by a MediaTek MT6755 i.e Helio P10 chipset clocked at 2GHz, coupled with 4GB RAM and with 32GB internal storage. The Elephone P9000 has bezels as thin as 1.6mm of course, the fingerprint sensor at the back, below the camera. Coming to the camera department, the Elephone P9000 features a 13MP rear camera with SonyIMX258 lens and an 8MP front facing camera. It runs Android 6.0 Marshmallow out of the box and supports 4G LTE connectivity along with connectivity features like WiFi,3G, Bluetooth,GPS and USB Type-C. It is fueled by a 3000mAh battery with fast charging support and it can be fully charged in just 70 minutes. 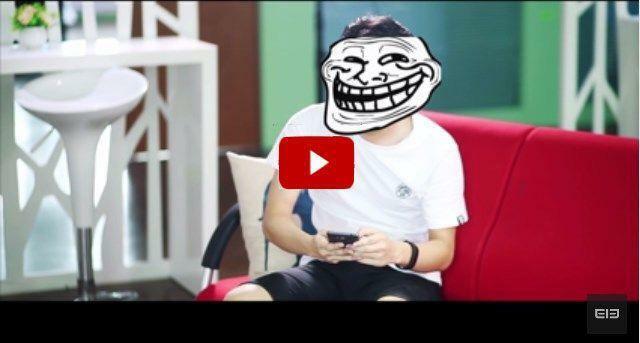 Hope you enjoyed this funny video of Elephone P9000, stay tuned for such trolls, more news and updates. Join us on Facebook and like our page so that you never miss an update. If you’re an Elephone P9000 user, try this and let us know your experience in the comments section below.